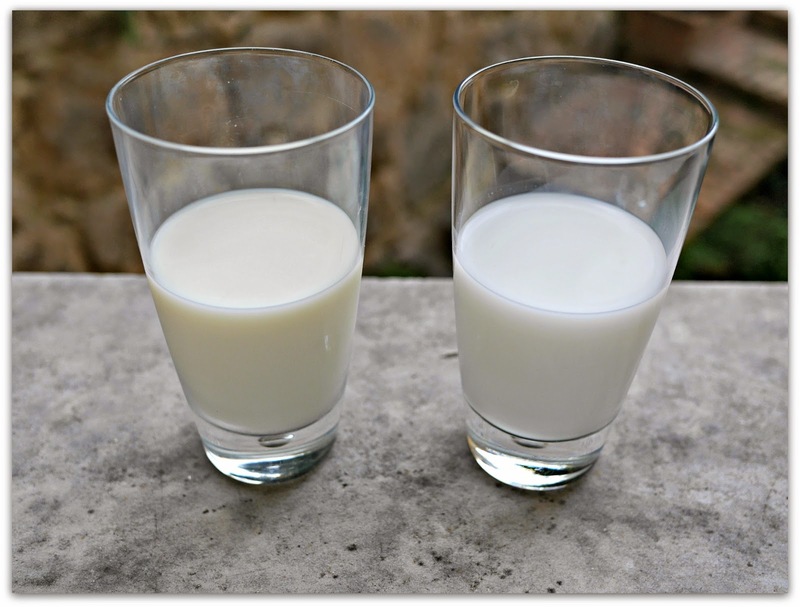 Even though I never drink milk of any kind other than a wee spoon of foam stirred into my Caffè d'orzo when I'm in Italy, I couldn't resist buying a bottle of mare's milk or Lait de Jument when I spotted it in the cooler at my local natural foods shop. Milk from a horse? How strange is that? Of course I had to try it. From that same cooler in recent years I've had sheep milk, goat milk and unpasteurized cow's milk, all of which were delicious and made excellent fresh cheeses when I didn't know what to do with the rest of it after I'd had a few sips. The French seem to excel at dairy products of all kinds. If you've ever seen the football-field length of the dairy section at any Carrefour Supermarché you'd know what I mean. I had an idea of what the goat and sheep milk would taste like because I eat fresh goat and sheep milk cheeses now and again but I had no such clue for mare's milk. I cracked the seal and poured a bit of it into a glass and without further ado, down the hatch it went. It tasted surprisingly plain and watery, like a skimmed cow's milk with a bit of chestnut honey added. There was no single prominent flavour like you find with a goat's milk for instance. 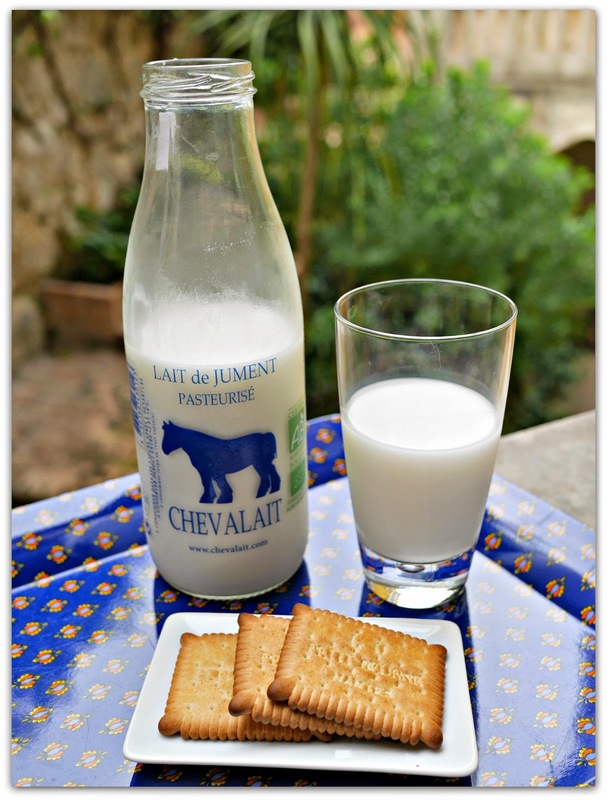 I can't say it would ever replace cow's milk but the producer, Chevalait, lists numerous health benefits on its website and Facebook page. In their farm just west of Paris, the Belgian owners, a husband and wife team, keep about 180 mares who collectively produce about 90,000 litres of milk per year. 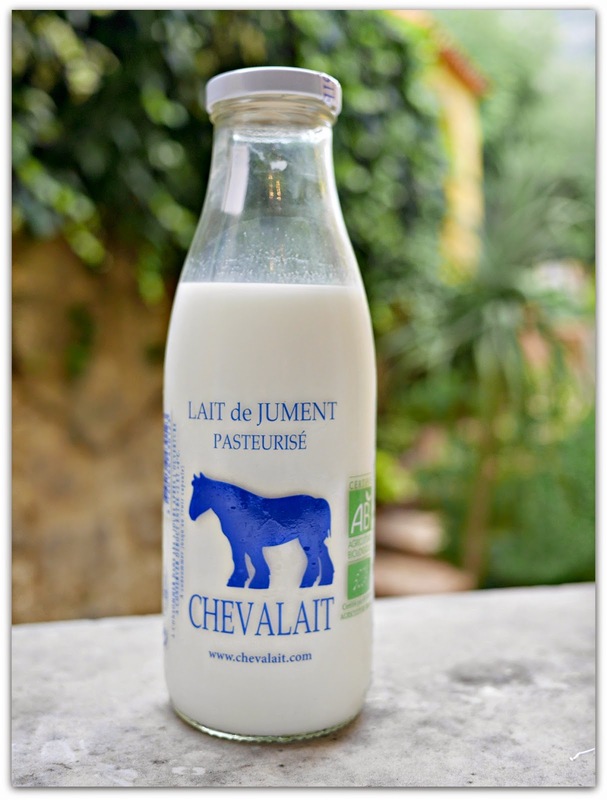 They ship the fresh milk to health food shops within France, Belgium and Germany. They also manufacture other mare's milk products such as soap, cosmetics, and powdered milk. If you're a mare's milk lover and you have €2,000 burning a hole in your pocket, you can adopt one of their mares and earn 5.5% interest paid out as €110 worth of milk every year. Not a bad return for betting on a horse! Would I buy horse milk again? Probably not. But speaking of benefits, I did find my daily run curiously easier than usual the following day.